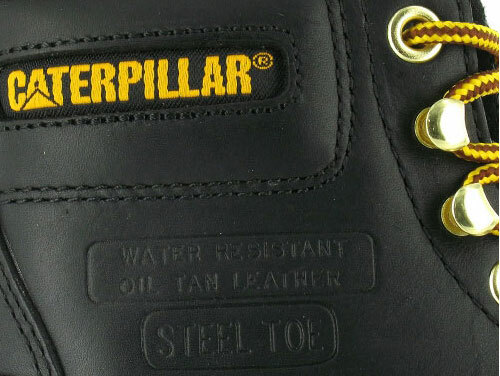 Because in the modern working environment health and safety is extremely important our web store brings you a collection of safety footwear and workwear which is desirable and delivers the functional safety requirements you need to keep you safe from the everyday hazards you may come across during your working day. The collection has been carefully brought together for both Men and Women at work with a number of exclusive styles which express your individuality and give you the all day long comfort you rightly deserve. Of course being safe at work is extremely important for obvious reasons as an unfortunate accident in the work place can lead to life changing circumstances. For this reason we make it extremely easy for you to select your next style with detailed descriptions of the features for every style and easy to read symbols make selecting your next style easier than ever. If you do require assistance when selecting any of our styles of safety footwear or workwear garments, you can have the confidence that if you need to ask us any questions when selecting your next pair all our staff are fully trained and have in depth knowledge on all of our styles and brands so you can be assured you will get the best and most up to date advice available. In addition to the functional safety protection which you require for your working environment, your personal comfort is equally as important, that is why we take great care in evaluating each and every style of safety footwear and workwear. When we evaluate a style or brand one of the primary considerations is the comfort that is delivered to the wearer. The comfort factor is extremely important especially when you are choosing safety shoes and boots. This is why we have taken the time to create a collection of safety footwear for Ladies which clearly distinguishes the unisex fit from true Ladies fit. This fit of footwear is extremely important when selecting styles which are both comfortable and safe. The reason we distinguish the difference between a unisex fit and Ladies fit is because a unisex fit is quite a bit wider than a standard normal Ladies fitting shoe or boot. Womens feet are naturally narrower than a Mans foot and therefore for you to get a correctly fitting more comfortable shoe or boot you should really choose a style which is specifically designed and manufactured for Women. Most manufacturers produce Ladies safety footwear in unisex sizes but we have made it our mission to continually work with manufacturers to bring you a Women's collection which is the safest and most comfortable available on the market today. If you want to discuss our collection for Women further then please contact us and talk to one of our footwear experts. Our collection of Mens styles is carefully put together and the styles are chosen by our purchasing team. When our purchasing team is making the selections which make up the range they have a number of core principles which encompass comfort levels, functionality, quality and overall value for money. If the style and brand meets these standards set by our team then it can then only be considered to be added to our collection of work boots and shoes for Men. As a company we are very different to other claimed suppliers of safety footwear and Workwear, we do have the expertise to evaluate all our products individually and constantly evaluate and improve the selection available. We care about our customers and want you to have a good experience from product selection through to our customer service. This is only achievable if we take the time to carefully select products for you. 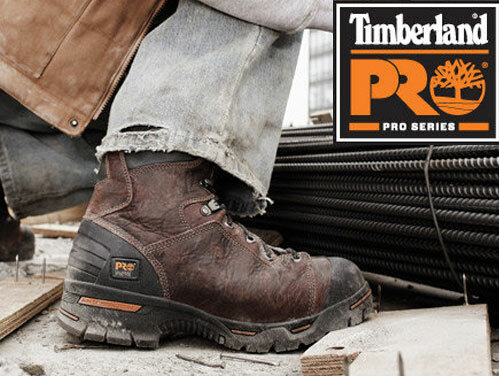 Our rigorous and careful selection process has enabled us to build a range of safety shoes and work boots which gives you one of the most diverse collections available. This superb range includes a fantastic collection of rugged Goodyear Welted Boots and highly desirable and fashionable safety sneaker styles which are metal free, lightweight and comfortable. The range also has a great selection of smart executive shoes which look great in the office but work hard to protect you on the construction site. If working outdoors in all weathers is where you spend most of your working day then we have some great waterproof boots and hikers which have fully breathable and waterproof membranes which help keep your feet warm and dry, even in the harshest of weather conditions. So no matter what your chosen occupation or working environment we have the right style for you. 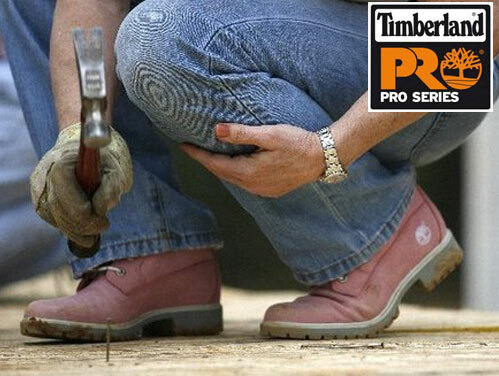 Women for a number of years have struggled to find aesthetically pleasing, comfortable and functional styles of safety shoes and safety boots which are not modified Mens styles. We are trying hard to change this and although we have a number of styles in Ladies sizes we do not claim that they are ladies footwear and clearly mark these styles as unisex sizes. Not content with the current status quo we are have made it a fundamental core part of our business to provide a selection of brands and designs of work shoes and boots which have been specifically produced for Women. Our collection is has been put together by Women so from the ground up our range has been built by Women for Women in the workplace. This has meant the introduction into the UK of some fantastic designs which are a true ladies fit and deliver the all day comfort levels you have long demanded but never until now been able to achieve. There are a wide number of desirable styles in our collection which express your individuality and keep you safe and protected from various hazards in and around your working environment. You will find in our collection a colourful, comfortable collection of safety sneakers from Lemaitre, this range of Vitamine sneakers delivers fantastic levels of comfort from its parabolic outsole and is available in various colours including Lilac, Orange and Black. If you require your footwear to be smart and formal and need styles which coordinate well with corporate clothing then our collection from Lavoro maybe for you. The smart Geena work boots encompass the high street fashion styling which you desire whilst giving you the comfort levels that you deserve. The Grace is a highly comfortable safety court shoe which also delivers great comfort levels and goes well with formal work clothing. As you can see our collection is well worth a look as we have the exclusive styles which give you the great looks, comfort and protection levels you have always wanted. Because of the high standards we set when selecting styles and brands for inclusion into our Mens and Ladies safety footwear and Workwear collections we only have brands that consistently deliver quality products which represent good value for money and give the customer a good overall experience. This means that some of the brands you will find are really well known in the UK and these include Timberland, Dickies and Dr Martens. Some of the other brands you may not be familiar with but because of our qualification standards for inclusion into our range you can be assured these brands can be trusted particularly the brands from our European partners. European brands are extremely important to us and our customers. This is because European based safety footwear manufacturers have extremely high quality and ethical standards. Our European partners are extremely innovative and the majority of the premium styles are produced in European manufacturing facilities. These styles are crafted using the finest leathers, the latest components and footwear making techniques, giving you footwear which is safe, desirable and comfortable. So next time you make a purchase consider the high quality European brands which include Lavoro, Maxguard, No Risk and Lemaitre and make your next step a more comfortable and safer one.